Working with challenging kids is always tough. I think that is one of the most difficult jobs of teaching these days. I am always looking for new tips and reading books on how to reach these children. This week I am linking up with Comprehension Connection to share some tips I use in my classroom with challenging kids. I have been using Conscious Discipline in my classroom for most of my teaching career. I’m very fortunate to work in a district that has been implementing the program in the younger grades. I have been to many trainings and read several books about the program. I was fortunate enough to see Becky Bailey in a four-day conference this year. It has really energized me to do more in my classroom and my everyday life. Below I am listing some of the main ideas that I have been working on. The most powerful tool in reaching challenging kids is to create a school family. The first thing is to have a morning greeting with each student before they enter the classroom. After the enter the classroom they should have some kind of icon they can put in a container as a safekeeper ritual. As everyone sits down on the carpet for our morning meeting we “Wish Well” to the students who are absent. You should also have a connecting song or class chant to get the kids to feel like part of a family. The school family has been extremely helpful for my challenging kids. It makes them feel like part of a family and they don’t want to let their family down. Sometimes this is the only family these kids ever have. Read more about how you can create a school family at Shubert’s Classroom. Click on each picture to see how to incorporate it in your classroom. This is a place a student can go when he/she is struggling with his/her emotions. It is a place in the classroom that he/she can go to calm down and self regulate. It has to be taught just like any other structure in your classroom. Different teachers have different things in their safe place. 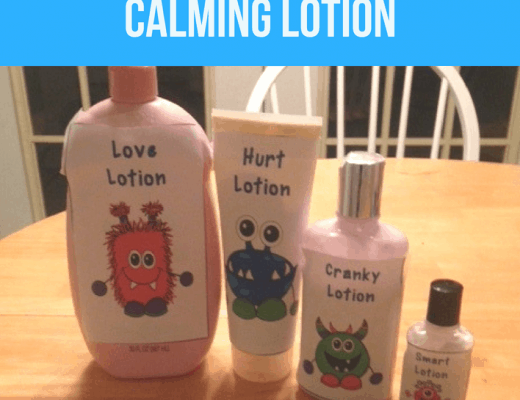 I have some soothing lotions , stuffed animals, books, stress balls, and safe place icons. Teaching students that it is okay to be angry or frustrated is important. The safe place is somewhere they can go to realize their emotion and self regulate the emotion. 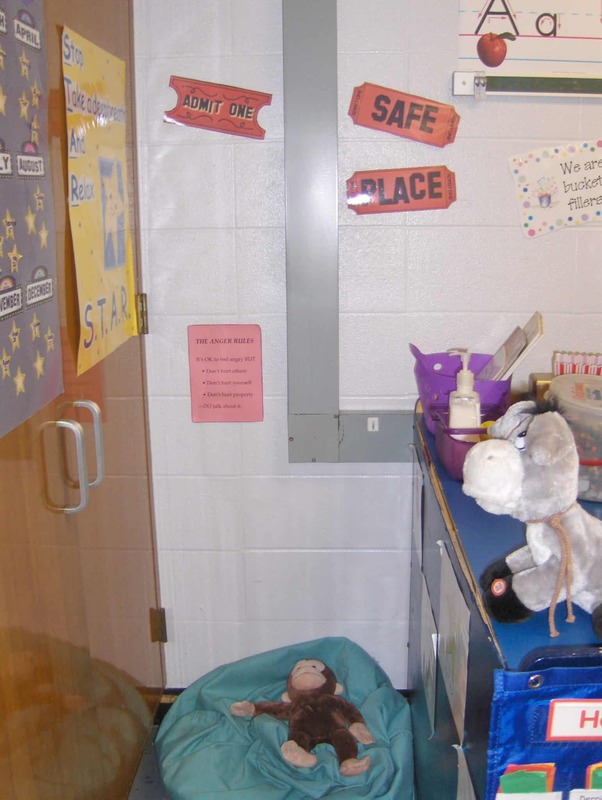 Our school has a safe place in every room in our school. You can download safe place icons at the Conscious Discipline website. The challenging kids are sometimes difficult to connect with. They put up a wall and don’t want to let anyone in. It is imperative for us to chip away at that wall. Talk to the kids regularly to find out what their interests are. Go out of your way to notice when they are doing something good. Say to the student, ” I noticed you were standing in line quietly while waiting your turn for the bathroom, that was helpful.” It sounds funny at first but saying what you noticed and how that was helpful shows the student you really noticed them. Most of the time that’s what challenging kids want; just to be noticed. Of course there are always challenging kids with all of these ideas in place. If you just keep trying and don’t give up on them, that’s what really matters. As I look back throughout the years my challenging kids where always my favorite. I guess I’m always up for a good challenge. 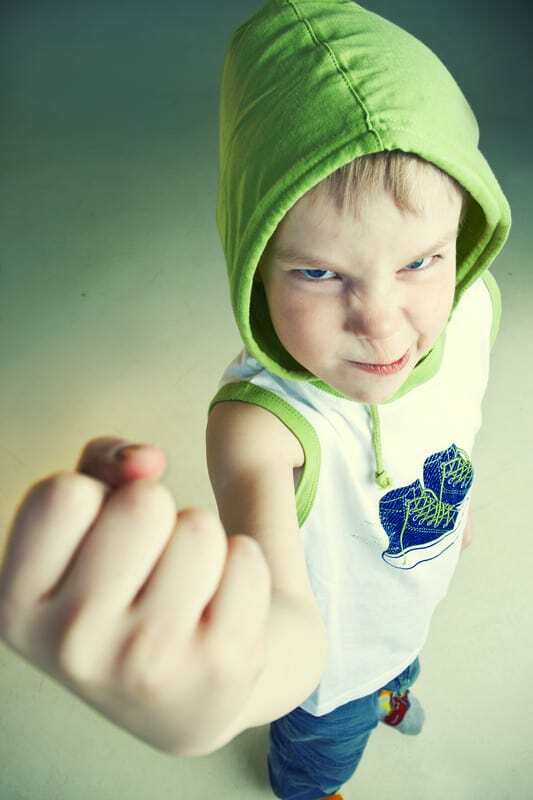 What do you do with challenging kids? Let me know in the comment section. Great tips. Family community and safety are so important! Hi Jennifer! This was very interesting to me, I’m not familiar with Conscious Discipline. It’s nice to learn about what’s out there. It is a great program. Hopefully you find something new to incorporate. I always find something new to work on. is getting more from this web site, and your views are good in support of new visitors.